I lost so much wonderful customer feedback when I lost my website. Time to rebuild so I'd love any feedback, especially with pics! test possible. It wasn't the prettiest mount, but I did it, and he didn't react badly at all, and the saddle didn't move!!! " Kelly A. "I teach my kids to ride in their GHOST. I conditioned for and completed my first endurance-ride in a GHOST. 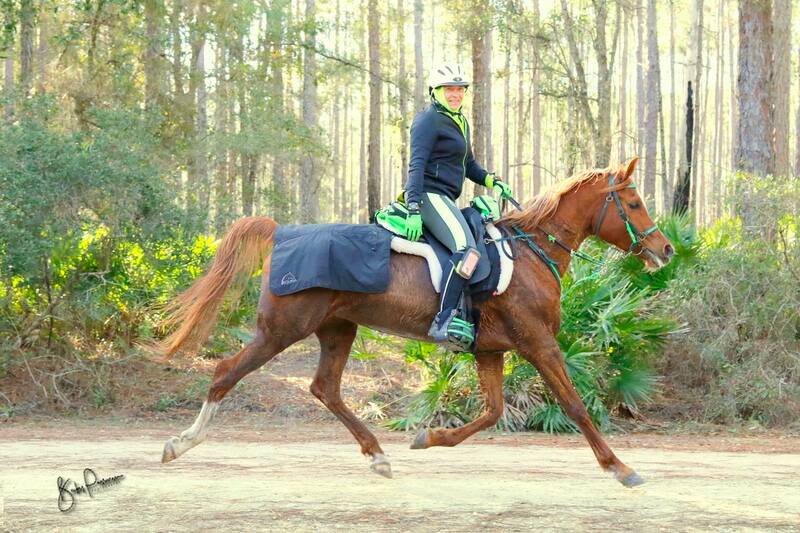 I train for Mounted Search and Rescue in my GHOST. I rode the Ft Vancouver Veteran's Day Parade in my GHOST (pictured). 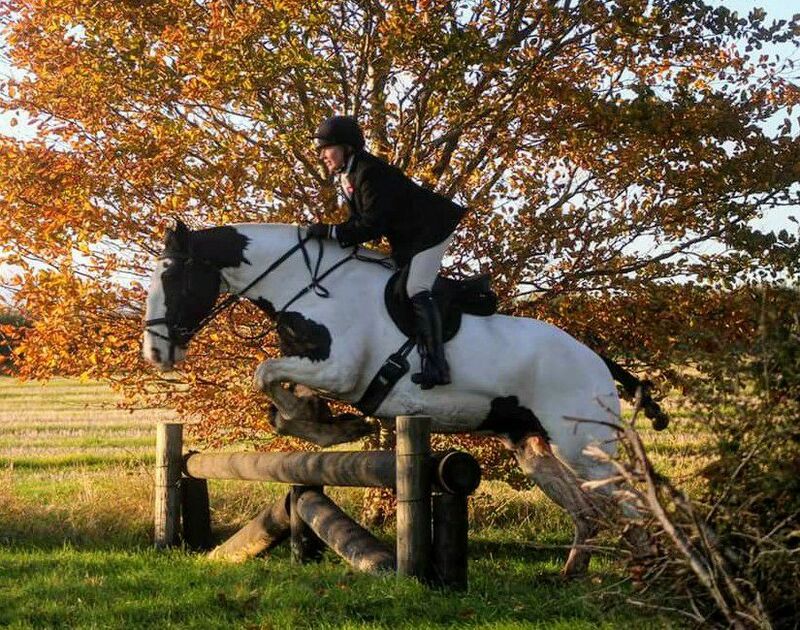 The pictured horse is a Shire /Paint cross and nearly impossible to fit to a treed saddle. The Ghost Italy held its own!! 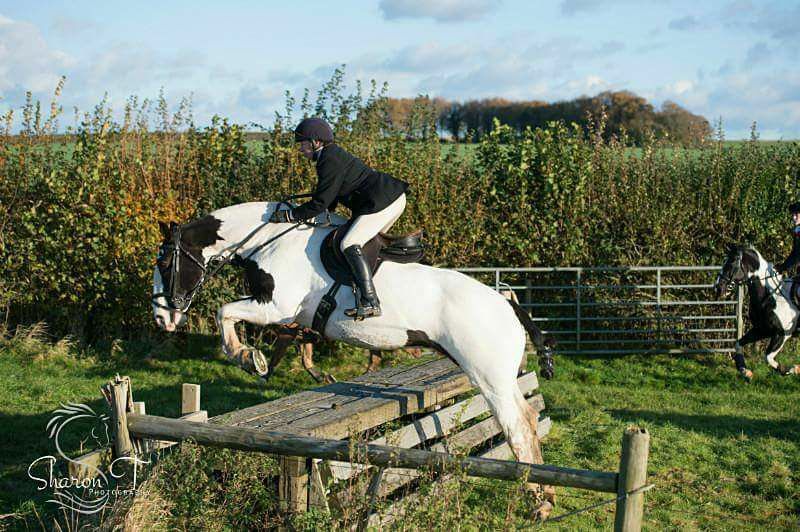 It totally performed and withheld all the vigorous riding and jumping that Thomas - the big and keen 16.1hh Irish Draught cross and I did!! I felt completely secure (very important thing that!) 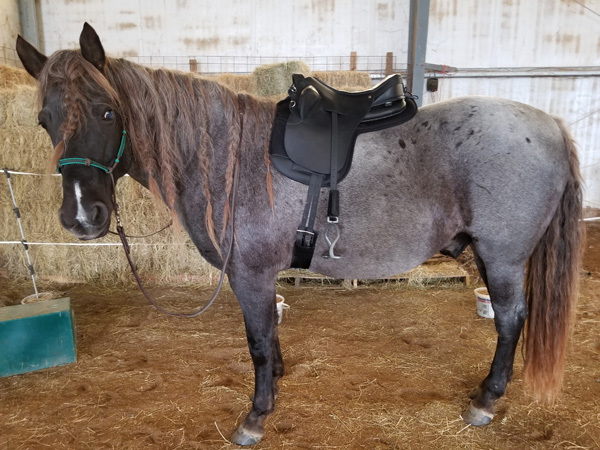 I did a saddle check before and after, and saddle remained fully sound! It is comfortable (once it has 'given in' from new). It didn't move, and it kept me secure and in good seat position for type of riding. On removal of saddle, the sweat marks were clear and showed fairly good symmetrical and equal pressure while maintaining spinal clearance. To withstand this kind of riding it must be excellent, and that, I have to say, it is. depend on my saddle to spread weight evenly when I couldn’t. The ghost fit her and I was actually pretty comfortable also. I rode in it for two lessons and out on training rides. No issues noticed. will get me through at least the 1st 2/3 of Tevis. Yes, I’m still skeptical that I can complete a full grueling 100 miles in a treeless. but her back and withers were still all A’s. I’m not changing anything if it’s not broke. Finish line, yes, I finished :). 100 Tevis miles, 23 hours 52 minutes, and still all A’s on back and withers. 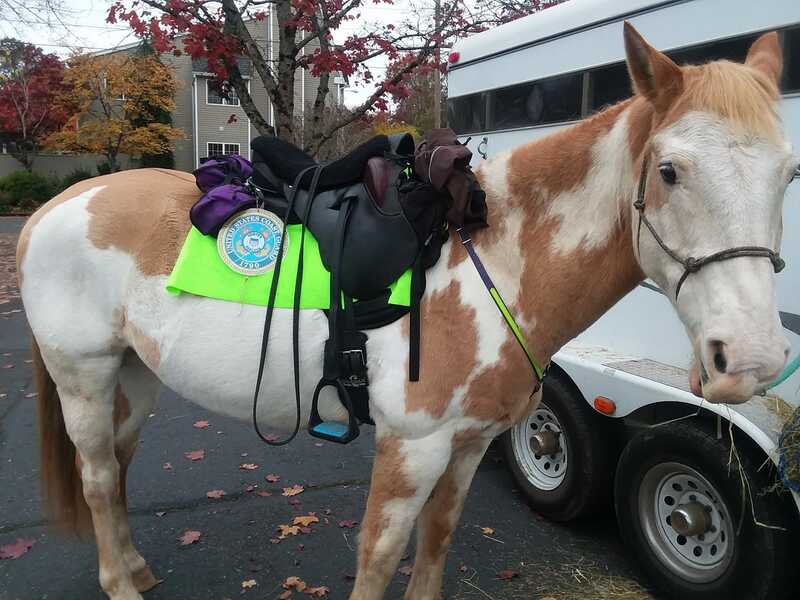 For those of you that are looking for comfort for both you and your horse, give the Ghost a try. I’m glad I did. I’m getting my own Ghost now. My girlfriend wants hers back. I rode in the saddle today and absolutely love it for my position! I wasn't sure what to expect coming out of the box because it is a bit alien looking haha. Puts my leg in a great spot and the twist is perfect. 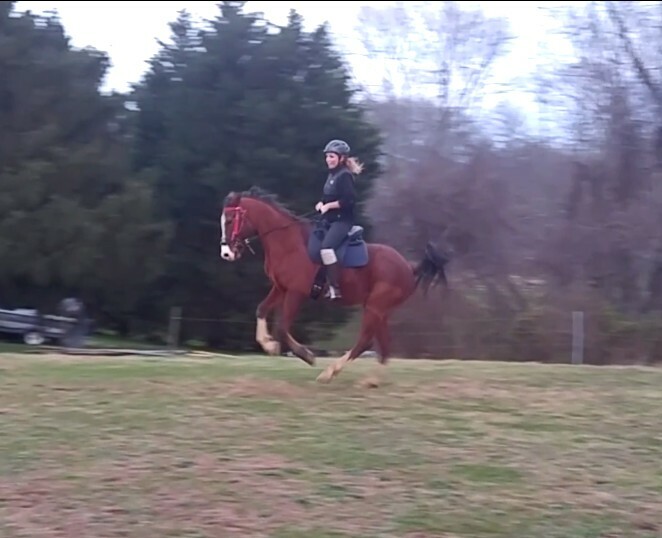 then when he realized it wasn't going to hurt him his canter departs were BEAUTIFUL. I love my position in it too! So excited! billets on his sides so the billet strap protectors worked great. I love the adjustability of the rigging system too since his girth groove is set fairly forward. The minute I sat in the saddle I knew it wasn't going to set me as wide as my current treeless. I fiddled around with it WTC, got a couple of good bucks, and was happy to see that the saddle stayed in place nicely. I'm just tickled about this saddle. After being so miserable with hip pain (and I'm only 23! Ha!) 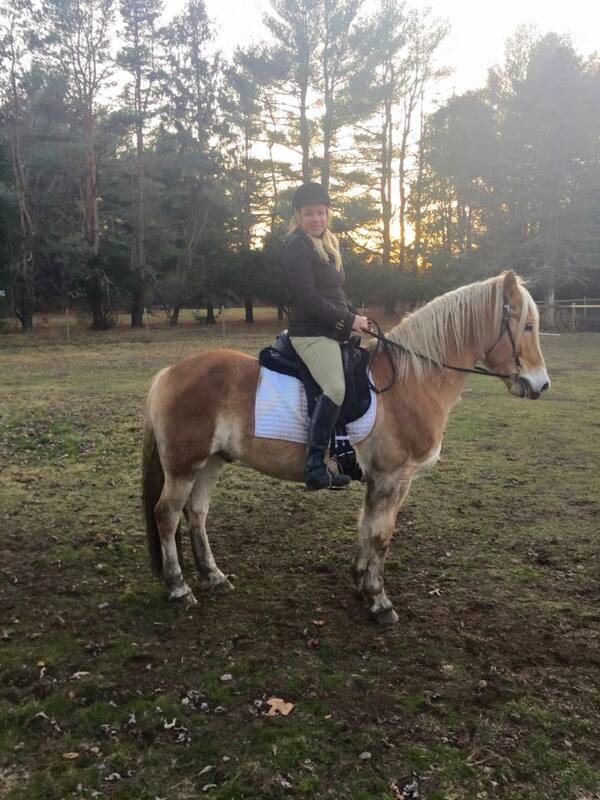 I can't wait to start the new 2016 season with better comfort for me and my horse.